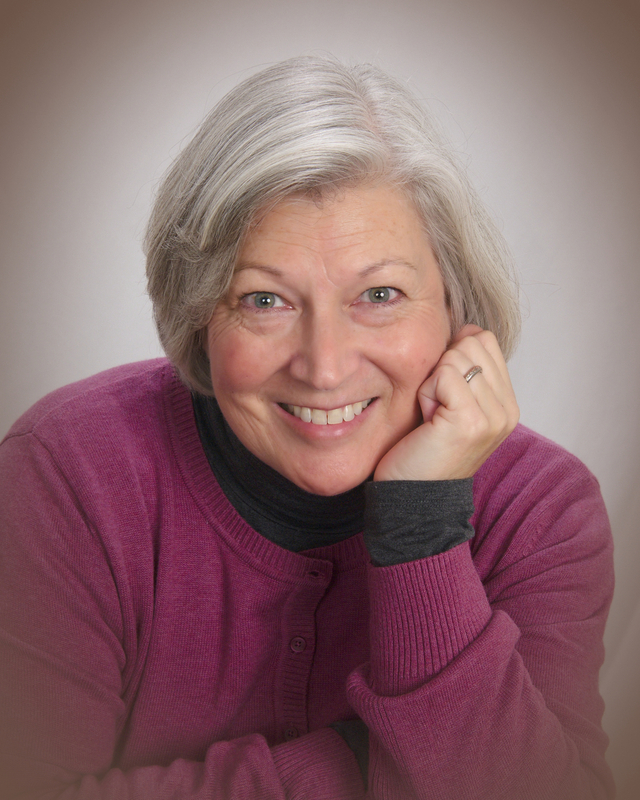 Please welcome creative and talented author, Jo Marshall, to Jemsbooks Blog Segment, Interview an Author! It is such a pleasure to have you here, Jo. You are now part of the Jemsbooks family! First of all, thanks so much, Janice, for offering to share my stories with your friends and followers. You’ve been so much fun to follow, and I always enjoy discovering what you’re up to whenever your smile pops up on Facebook! Jjspina: My pleasure, Jo. You are welcome! Thank you for your support! The first thought that comes to mind is I would be happy spending my life tucked away in cabin on a lake writing books for the rest of my life. Thank goodness for the internet, eh? It gives us all the solitude we desire to do the work we love, and also provides companionship at the same time! Jjspina: That sounds really nice to me too! I remember exactly when I reached that decision. I was reading a bedtime story to my 3rd grade daughter like I always did for her and her older brother every night when they were young. It suddenly occurred to me I could write a better story than the one I was reading. (I won’t say which one it was!) Anyway, from that moment on I organized my life around finding time to write. Jjspina: I wonder which one you mean. Not even a little hint? Mostly solitude, quiet, an old forest in view, and soft music… you know, a little ambiance. I just finished my fourth novel, and know what works best for me now. I start with the idea, and then an outline. After that it’s mostly doing research on the climate change topic that is the heart of the story, and developing the action, characters, and theme around that topic. Jjspina: That sounds perfect to me too and very relaxing! You definitely do extensive research, for your books are very environmentally detailed and beautiful not only in words but in illustrations! A glacier lake bursts its ice dam! 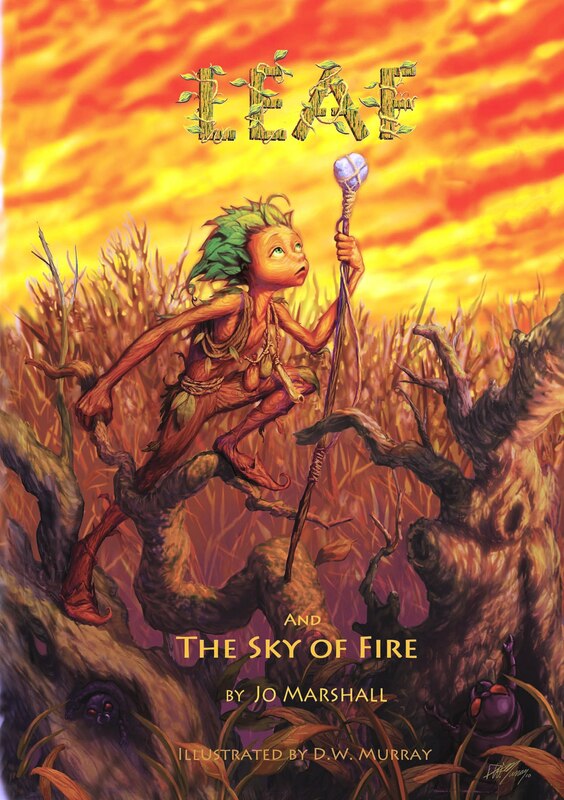 Instantly, Leaf’s ancient tree home is flooded, his family is trapped, and the only hope for rescue is far away across dangerous grasslands. With the help of jittery chipmunks and brave Twig friends, Leaf sets off on a desperate quest to find a goliath beaver! In a dying forest, the last of the North Forest Twigs are surrounded by ravenous bark beetles. They are forced to hide in a cave, protected only by silly salamanders and a weird, misplaced chameleon. When a daring, but foolhardy, South Forest Twig named Leaf attempts an impulsive rescue, the Twigs are thrust into even greater peril. Now they are chased by barkbiters and fire! 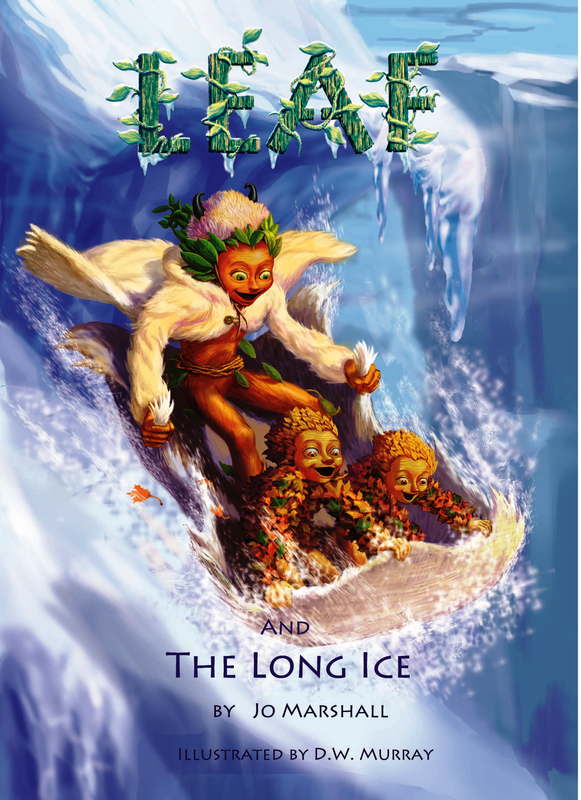 Excited by stories of summer snow, Leaf’s brothers, Buddy and Burba, ride a giant moth to the dangerous, shrinking glacier of Echo Peak. But melting ice and blue tubes are more than the twins bargained for. A scary hermit and courageous goats are Leaf’s only hope to save the twins, but it is the rare beasts of the Long Ice that will decide their fate! A mammoth volcano rumbles a warning ~ Twigs must escape when Echo Peak wakes up! But all the forest paths are perilous. Many follow Leaf & courageous marmots down into a creepy prehistoric lava tube, but deadly bats and vicious moles block their way. Where can Twigs hide when a volcano erupts? There are so many climate change worries it’s easy to select any of them to build a story. For example, my first book is about mountain pine beetles destroying the forests of British Columbia. All I had to do is take a vacation with my young daughter, and witness the thousands of dying trees to be saddened by what is happening there and develop a desire to share that experience. Jjspina: That is very disconcerting and sad. We can’t live without trees! 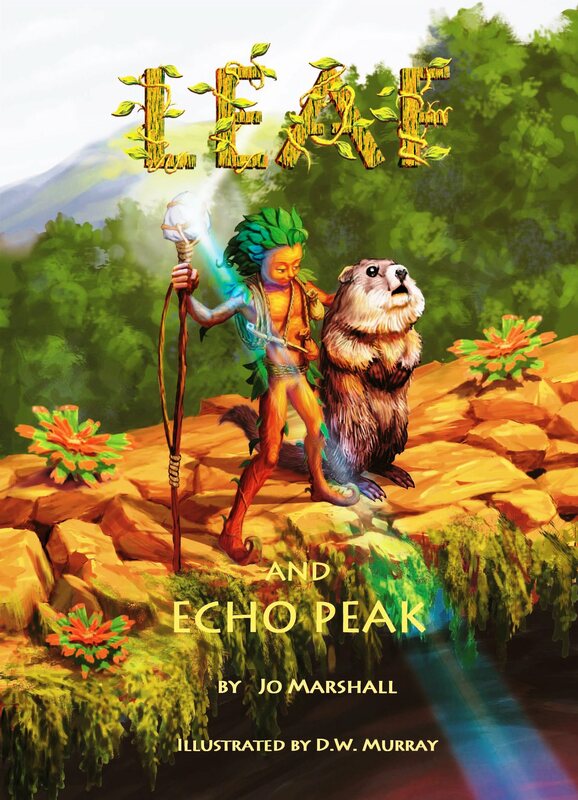 I just finished my fourth book, Leaf & Echo Peak, and sent it out to researchers and nonprofits for their review. Once their suggestions are incorporated into the story, it will go to Createspace to be published in paperback and kindle. Then, I’ll begin marketing it along with the series. Jjspina: I look forward to seeing this new book! I am sure it will be extraordinary! To finish out 2015 I just want to enjoy this beautiful autumn season, which is my favorite time of year, and then enjoy the Christmas season with my children. Having just finished my fourth book, any further accomplishments can wait until 2016. 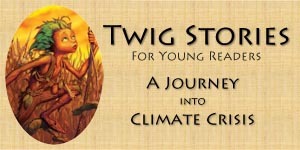 In 2016 I expect to spend a lot of time doing school presentations for Twig Stories, and talking about climate change. Hopefully, there will be plenty of interviews, blog posts, and articles to share with Twig Stories fans, too. Jjspina: It sounds like you will have a busy and productive year ahead. Hope you have a wonderful Christmas with your family. I’m a quiet person and enjoy simple hobbies – puzzles, board games, reading, birdwatching, and long walks in the forest with my dog, Rusty. I’m afraid I’m pretty boring. Jjspina: You don’t sound boring to me, Jo. I find you and your work fascinating! I’ve found children approaching middle school like the books best, ages 8 to 12. Amazon tells me that adults ages 40-50 love the stories, too, so I really don’t know what to make of that statistic. Jjspina: I agree with Amazon and add this over 60 reader to that group who love your stories. My books are on most online bookstores in paperback and kindle. There are discounts available if you go through the links on my website. I think all writers ask, why am I writing this at all? Who will read this? Am I writing to entertain, impart morality, both, or some other reason? The answers to these questions may influence the way you write your story, so you might want to figure out the answers before you begin to write. I want to thank all the friends and fans of Twig Stories for caring about the critical impacts climate change is having on wildlife and forests in the Pacific Northwest. I want to also thank all the amazing conservation nonprofits for banding together to protect our natural world. They have made significant progress, and need our continued support. Thank you, Jo, for sharing yourself and your incredible books with my readers and me. I have thoroughly enjoyed reading two of them and will be checking out more soon. Please feel free to come back again with your new book so I can do an update. Thank you, readers, for stopping by. Please check out Jo Marshall’s wonderful books and be kind and leave reviews! We authors love them! 2 Responses to Interview with Author Jo Marshall! Thank you so much, Janice, for your generous support for my stories. I’m always impressed with the grace and encouragement you extend to all children’s books authors. I’m so happy to share your own books and blogs with my followers. 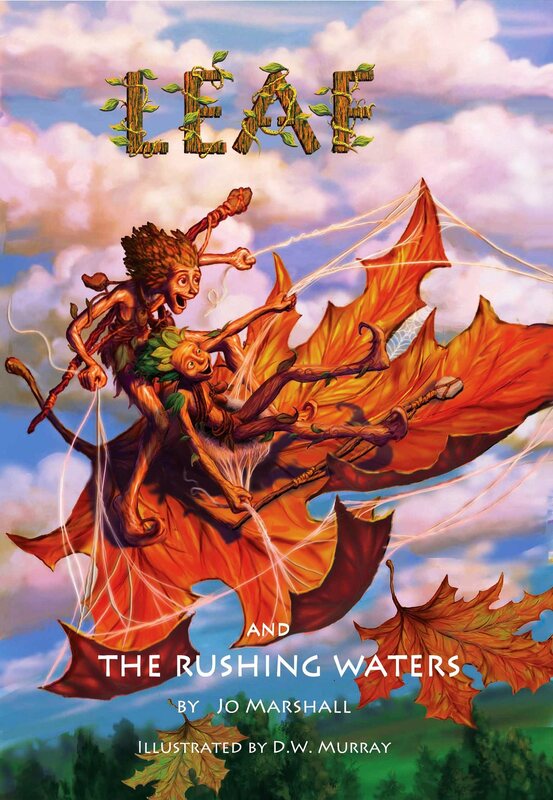 I am especially appreciative of the great review you gave ‘Leaf & the Rushing Waters’. I know it makes a difference for parents and teachers when they are choosing stories for their young readers to have your recommendation placed on it! You are most welcome, Jo. It was a pleasure to have you on my blog and now be part of Jemsbooks Blog Family!! Let me know when your book comes out! Blessings and hugs to you too!